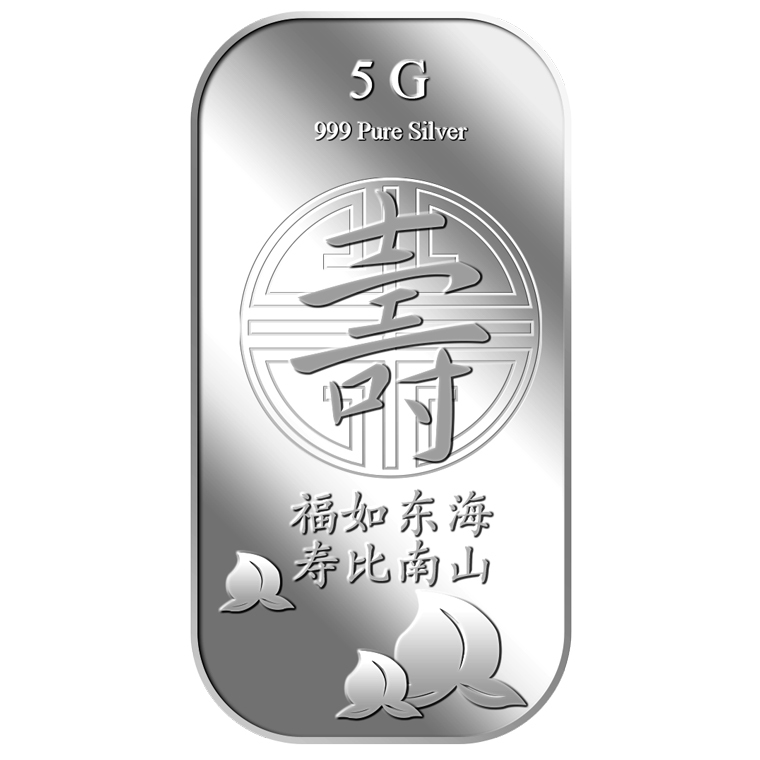 寿 (Longevity), is one of the most important goal in Traditional Chinese Culture. 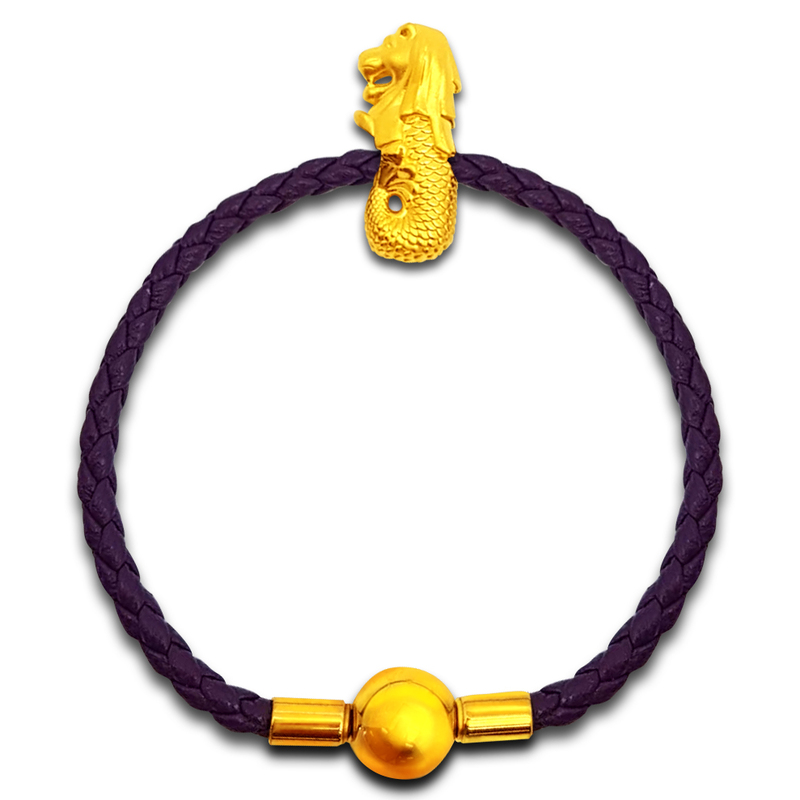 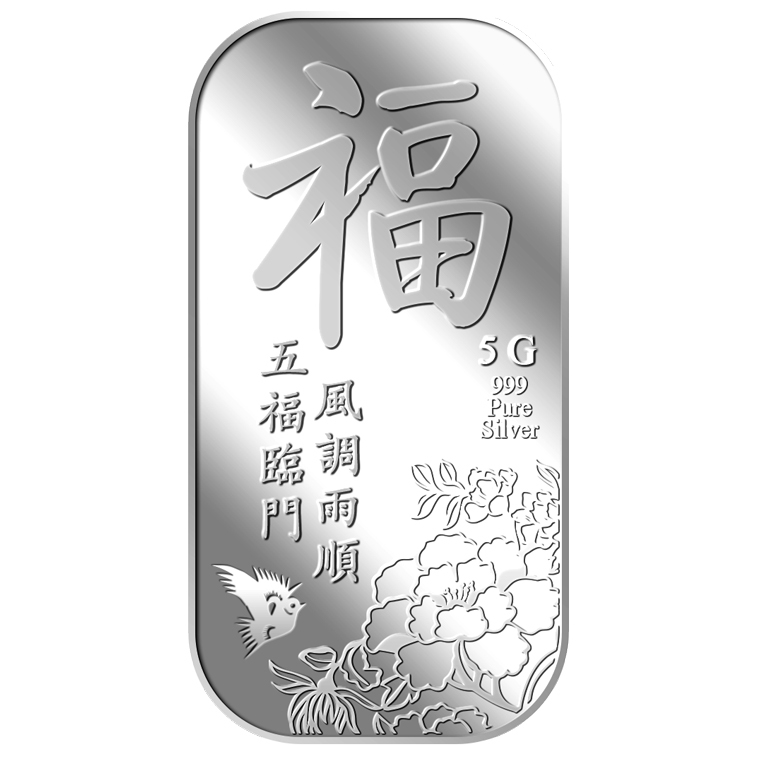 It has also been adopted by other Asian cultures to present a long life and immortality. 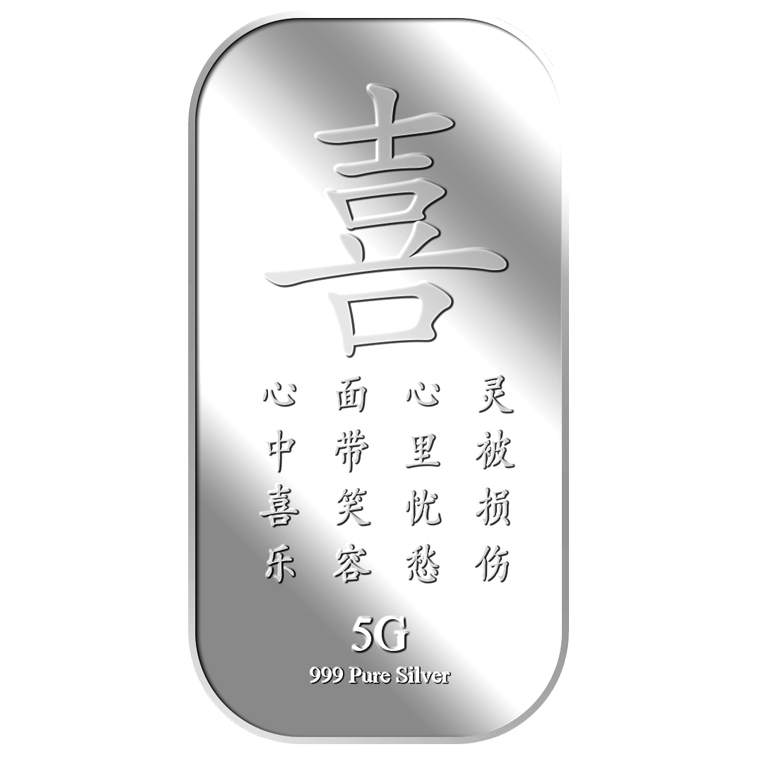 The 2 Chinese Idioms read, ”福如东海，寿比南山“ (Fu Ru Dong Hai, Shou Bi Nan Shan), which means, May your Fortune be as vast as the East Sea, and Longevity as great as the South Mountain. 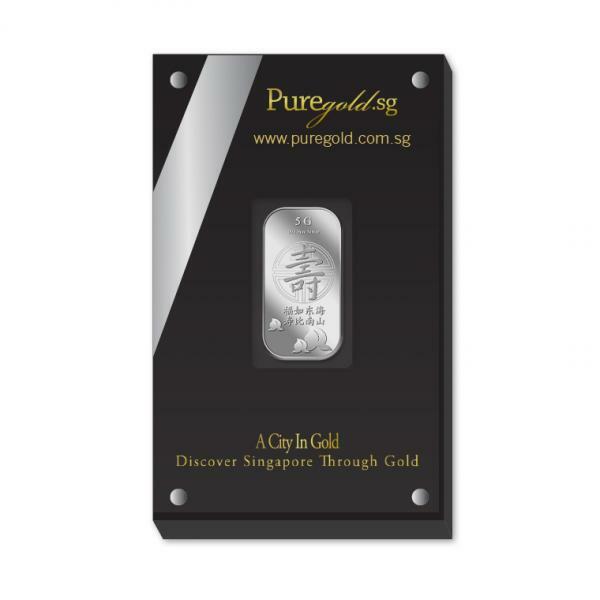 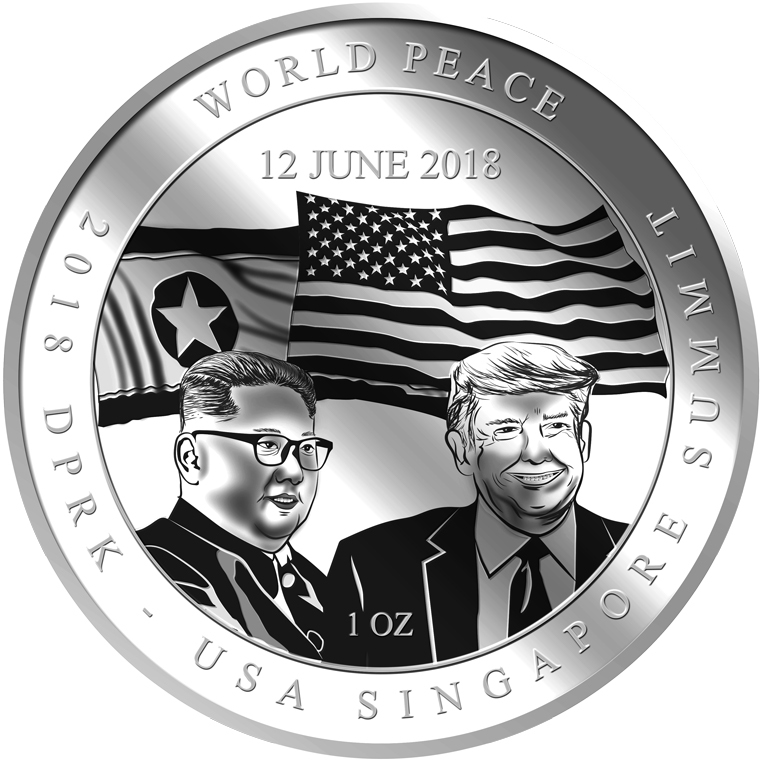 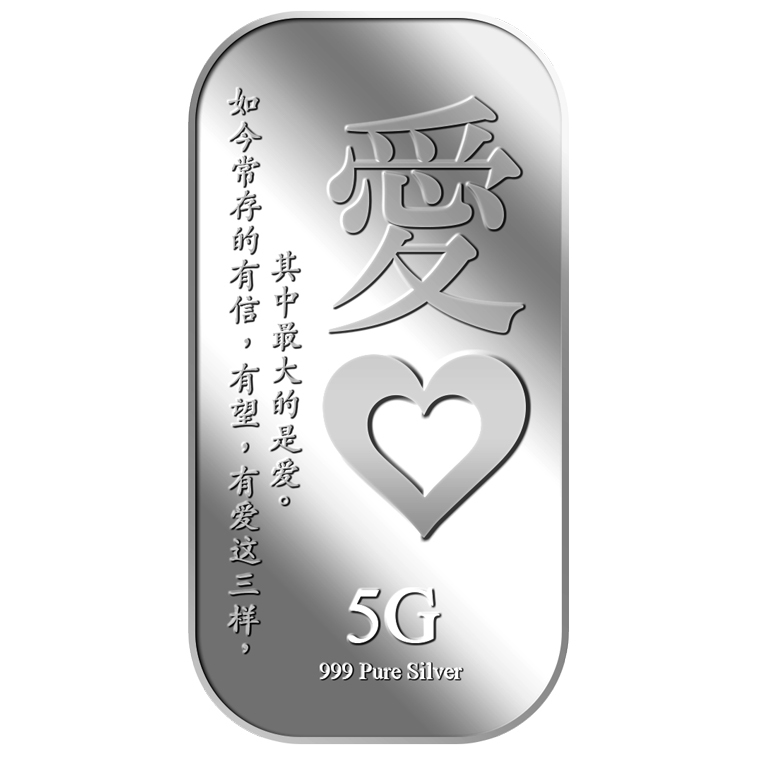 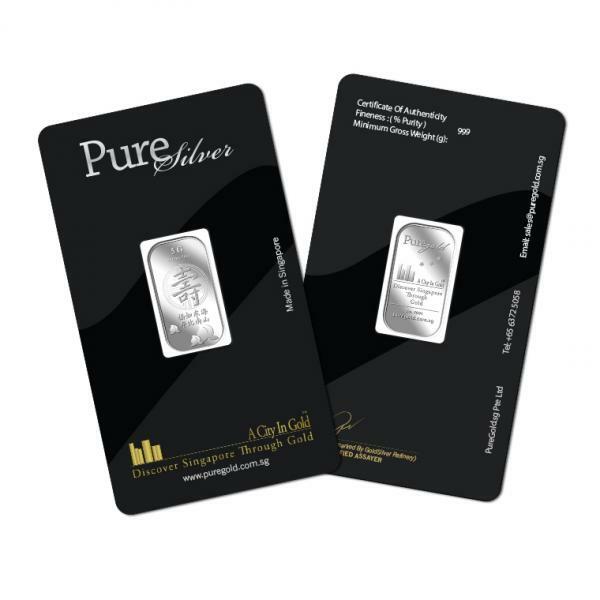 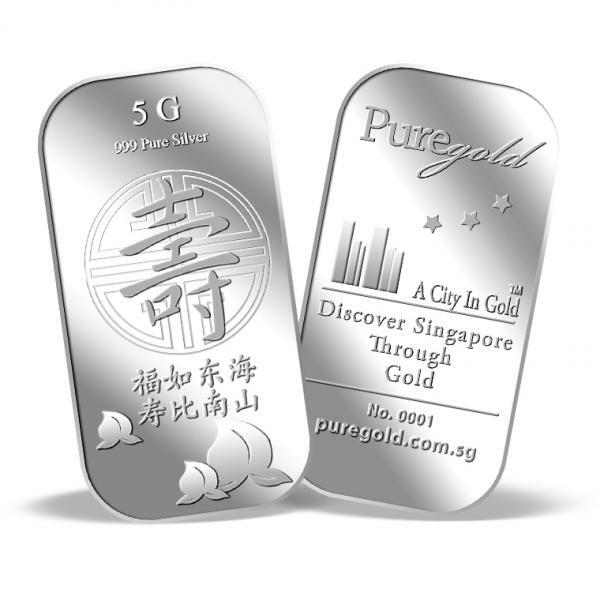 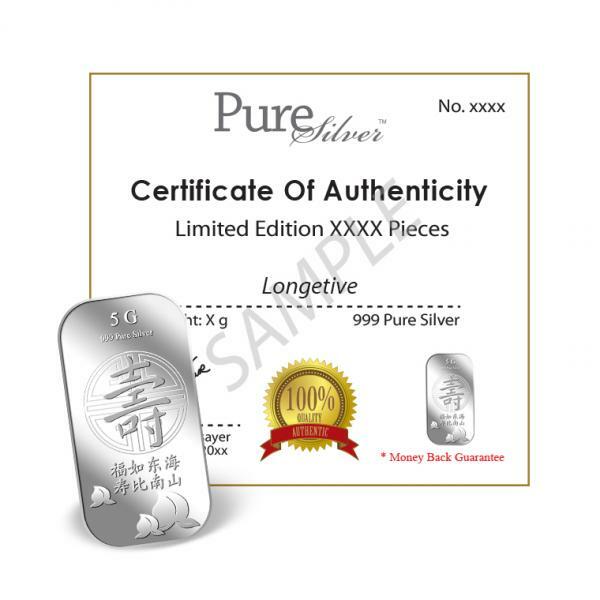 The image is embossed on a 5g 999fine silver bar.